Borongan, pronounced bo-róng-gan, officially the City of Borongan (Waray: Siyudad han Borongan; Cebuano: Dakbayan sa Borongan; Filipino: Lungsod ng Borongan), is a component city and the provincial capital of the province of Eastern Samar, Philippines, and known to be as the easternmost city in the Philippines, Its cityhood was settled by the Supreme Court of the Philippines when it decided with finality on April 12, 2007, the constitutionality of its city charter, Republic Act 9394, which conferred upon and elevated the status of the municipality of Borongan into a component city of the province of Eastern Samar. The city's territory includes the islands of Ando, Monbon, and Divinubo in Borongan Bay. Its development into a town, and eventually into a city, is traced back to the early 1600 out of the scattered hamlets located on the banks of the adjacent Guiborongani (Borongan or Sabang) River and Lo-om River. 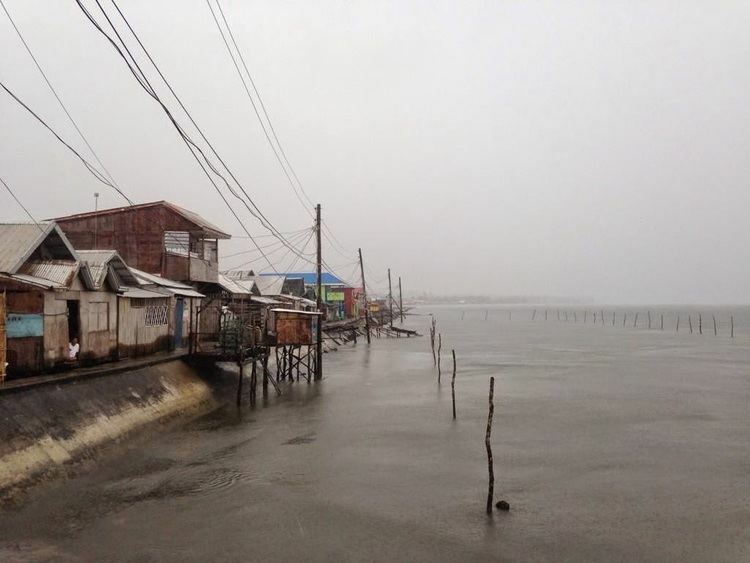 Guiborongani was the larger settlement and was later on called Borongan because of the heavy fog that usually covered the place. The name Borongan was taken from the local word "borong", which in the Waray-Waray language means "fog". The people inhabiting the eastern coast of Samar were originally called "Ibabao" during the pre-Spanish period.According to Meranau, Borongan is a common name of green Banana,located in the surrounding of Lake Lanao. As early as 1595, or 74 years after Ferdinand Magellan's landing in Homonhon (now an island barangay of Guiuan, Eastern Samar) Spanish Jesuit missionary priests from mission centers in Leyte began to evangelize the southern portion of the island of Samar. The first evangelical mission was established in Tinago, Western Samar and gradually expanded to Catubig. In 1614 Palapag was selected as the mission center of the Ibabao region or the north-eastern coast of the island; from this mission center in turn was the eastern coast of Samar subsequently evangelized. The missionaries proselytized to the inhabitants in the faith, raised stone churches, and protected the people from the Muslim predatory/piratical raids from the south. This is probably the reason why the town itself was established some distance away from the shoreline and built on a hill overlooking the northern banks of the Lo-om River. In fact, the old Catholic church convent has its own self-contained water supply: a deep dugout well lined with big blocks of ancient hewn stones located underneath the convent building itself. The major settlements then were Borongan, Bacod/Jubasan/Paric (now Dolores), Tubig (Taft), Sulat, Libas/Nonoc (now San Julian), Butag (now Guiuan) and Balangiga. The development of Borongan was greatly influenced by the religious missions of the Jesuits during the period 1604–1768, and the Franciscans from 1768 to 1868. Borongan was established as a pueblo on September 8, 1619. On this date, the Commandancia and the Very Reverend Father Superior of the Jesuits from Palapag, a town of Northern Samar, went to Ibabao to install the first priest of Borongan, Fr. Manuel Martinez, who served up to 1627. At the outbreak of the Philippine Revolution in 1898, Borongan was the site of an uprising led by the Pulahanes. The first public municipal officials were Sr. Magno Abenis, President, and Sr. Andres Hipe, Vice-President, who held office from 1899 to 1903. 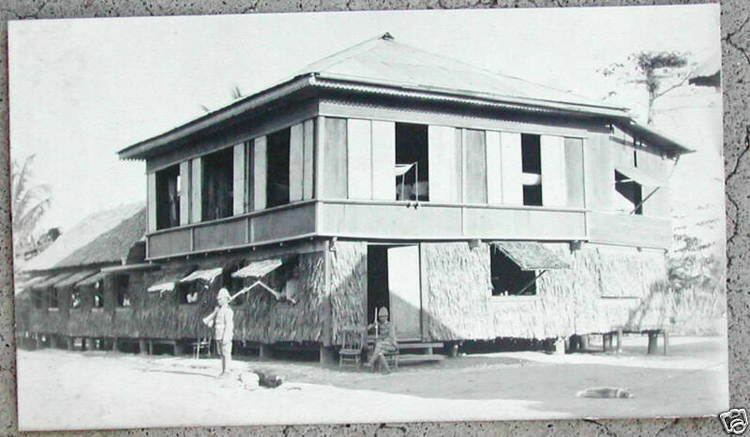 After the Japanese occupation in 1941-1945, the town was henceforth led by a mayor and a vice mayor. Hilarion Basada and Ignacio Brozas were the first mayor and vice mayor, respectively, from 1945 to 1947. Borongan was legally constituted as a capital town when Eastern Samar was created as a separate province under Republic Act No. 4221 which was enacted on June 19, 1965. Its first municipal mayor as the capital town of Eastern Samar was Luis Capito. On June 21, 2007, Borongan became the first city in Eastern Samar. However, it subsequently lost its cityhood, along with 15 other cities, after the Supreme Court of the Philippines granted a petition filed by the League of Cities of the Philippines, and declared the cityhood law (RA 9394) which granted the town its city status, unconstitutional. The said 16 cities, the court ruled, did not meet the requirements for cityhood. In November 2008, Borongan and 15 other cities lost their cityhood after the Supreme Court of the Philippines granted a petition filed by the League of Cities of the Philippines, and declared unconstitutional the cityhood law (RA 9394) which had allowed the town to acquire its city status. The Supreme Court ruled that they did not pass the requirements for cityhood. According to the 2007 census conducted by the CBMS, Borongan had a total population of 59,354 people in 10,699 households. This rose to 64,457 people in the 2010 census. As of the 2015 census, it has a population of 69,297. The local dialect is Waray-Waray, locals are also literate in both English and Filipino. Boronganons are predominantly Roman Catholic, but it also has other small Christian as well as minority religious sects. Borongan's main product is copra. It has lively commercial activity throughout the year not only catering to the needs of the local city populace but serving as well as the central business hub of the entire province of Eastern Samar. Many families rely on coastal and deep-sea fishing as well as lowland and upland farming as means of livelihood. Others have spouses, children, parents or other relatives working in Manila or in other places within the Philippines or abroad either as professionals, contract workers or domestic helpers who regularly remit part of their earnings to their families back home. The single biggest employer of its local populace is the government. Borongan City has a wet market located a little upstream and beside the northern bank of the Lo-om River in the Puray district of Brgy. H (Tarusan) selling the usual foodstuffs like rice & corn grains, dried & fresh fish (either caught locally or brought in frozen from Catbalogan City or Guiuan as well as other nearby towns), pork, beef, chicken, carabeef, preserved meats, vegetables, fruits, condiments & spices, rootcrops, native cakes and the like. The place also sells locally-made and beautiful native basketware. It also has the largest and the only shopping mall in Eastern Samar. It opened in 2005 for business operations and is located along the national highway in Brgy. Songco at the northern fringe of the city. Appliance stores, mini-groceries and 'sari-sari' stores also abound throughout the length and breadth of the city selling items ranging from basic necessities to supplies for recreational and entertainment activities. Several hardware stores also operate catering to the needs of the city's construction industry. The city has numerous restaurants and eateries offering local cuisine randomly located throughout the city limits while nightspots can be found mostly along the length of Baybay Blvd. at the eastern edge of the city immediately abutting the shoreline of Borongan Bay. Major and new oil companies have their own oil refueling stations within the city limits selling engine lubricants, kerosene as well as regular, unleaded and premium gasoline and diesel fuels. Borongan City's pristine and undisturbed forests contain spectacular streams, river rapids, waterfalls and caves sought after by nature lovers, trekkers and spelunkers - locals and foreign visitors alike. With its vast virginal landscape, most of its scenic spots can be reached by those who have the time and energy. There is said to be a famed hidden cave in one of the offshore islands of Borongan Bay containing the long-boned remains and antique artifacts (i.e. necklaces, porcelain, etc.) of apparently ancient people whose true history have been obscured by the mists of time and only snippets of which have survived to this day in tales and legends among the local folk who continue to zealously preserve as well as guard and protect them from the curious and from the occasional vandal/looter, believing that allowing such remains and artifacts to be disturbed or taken away will bring bad luck or misfortune to the nearby local inhabitants. Being part of Eastern Samar, the surfing capital of the Visayas, Borongan is blessed with several surfing spots. More often than not, these spots are uncrowded, easily making it a surfer's paradise. The city's waves are at their best during the Amihan season which runs from November to April. BOULEVARD (BORONGAN BAY) - Known as the birthplace of surfing in the Visayas, this is the nearest surf spot from Borongan town proper. This surf spot has a sandy bottom, right hand rivermouth beach break. Perfect for both beginners and advance surfers. PIRATES COVE BEACH & SURF RESORT - A 5-minute drive from Borongan town proper brings you to this 2-hectare private reef, marine sanctuary and water sports recreation area. This is an exposed reef break facing the Pacific Ocean filled with rocks and corals. SULANGAN BEACH - A left and right hand steady beach break that is ideal for beginners. A good place to learn how to surf. LALAWIGAN - Still part of Borongan, this barangay is rarely visited. Only advanced surfers frequent the area due to its rough waves and strong current. GUINTAGICAN BEACH - A beautiful 2 km beach with white sand. It has a left and right hand beach break with inconsistent surf. During the summer season, it tends to be flat. Also ideal for beginners. Borongan City has many beaches, the most notable of which can be found in Divinubo Island and in Ando Island, both of which boast of white sand beaches, vibrant coral formations alive with teeming marine life in sparkling clear blue waters, incidentally ideal also for diving and snorkeling. Cabong gray-sand beach is a favorite destination of the locals, with excursionists, bathers and picnic-goers spilling over from one end of the beach to the other especially during special occasions, weekends and holidays. The strip of white-sand beach in Guintagican or Punta Maria is also a good bet, although it takes some effort to get there as it is several kilometers away from the town proper and accessible only through a feeder road, the final stretch of which can be reach on foot only because of the narrow width of the footpath. The Hamorawon park is located at the center of the city proper itself and can easily be located by the presence of the giant acacia tree beside it. It contains the stylized rendition of a concrete giant clamshell the upper half of which being held up by two mermaids while at its base are two crocodiles with their mouths agape. This giant clamshell served as the then town's cultural stage where social presentations were held while the fenced grounds fronting it served as the venue for social gatherings. This was the brainchild of then Mayor Pablo "Buaya" Rosales. On its left side but still within the park grounds is the city tourism building. From underneath this giant clamshell bubbles and flows the Hamorawon natural spring, the only one place in the entire province of Eastern Samar which has a naturally occurring fresh-water spring, flowing from the very center of the city itself towards the Lo-om River a short distance downstream. The waters of this spring has been said to be miraculous the site itself having allegedly been the place where appearances of a lady in white (supposed to be the patroness saint of the city) have reportedly been seen. Unfortunately, access to this natural water source has of late been impeded and virtually blocked, its previous access road having been long fenced off leaving the spring almost unnoticeable already to busy passersby. The seat of the executive branch of the local government of Borongan is at the city hall located at the city proper itself with the city mayor acting as the local chief executive. The legislative department is represented by the local Sangguniang Panglungsod composed of ten (10) elected members headed by the city vice mayor as the presiding officer thereof. Regional Trial Court, Branches I & II - both located at the Hall of Justice Bldg., Provincial Capitol Complex in Brgy. Alang-alang. Municipal Trial Court - also located at the Hall of Justice Bldg., Provincial Capitol Complex in Brgy. Alang-alang. The local inhabitants are generally peace-loving and law-abiding citizens who follow all the laws, ordinances, rules and regulations promulgated by the duly-constituted authorities, be they national or local. Except for the lingering insurgency problem, which however is restricted to the hinterland barangays and does not affect the normal course of political and business activities of the city, the place has no major peace and order nor internal security problems. The City of Borongan can be reached from Manila or Tacloban primarily by means of land or sea transport. The Borongan Airport is already minimally serviceable. The Port of Borongan is classified as a national port and can accommodate medium-draft sea vessels, linking the town with the other coastal and riverine towns of the province as well as major coastal cities of Eastern Visayas, Central Visayas and Bicol regions. 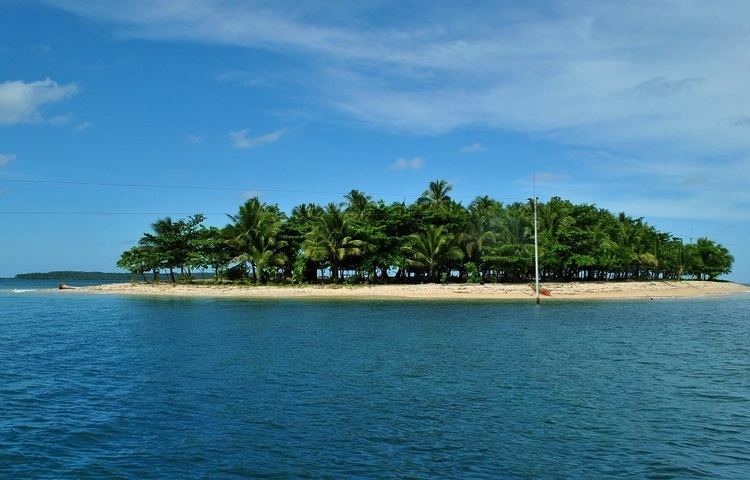 Access to and from the outlying inhabited offshore islands of Borongan Bay is either through motorized as well as sail- or oar-driven outrigger bancas. Bus transport, airconditioned and ordinary, is the dominant means of public land conveyance to Borongan City from Manila (and vice versa) passing overland through the Pan-Philippine Highway (Maharlika Highway) through southern Luzon, a short roll on, roll off 1-hour boat ride across the San Bernardino Strait from Matnog, Sorsogon to Allen, Northern Samar, then southwards to Catbalogan City, Western Samar, east across the mountainous and forested geographical spine of the island, then southwards again from the town of Taft until finally entry into the city on the eastern coast of Samar. There are also ordinary mini-buses and air-conditioned shuttle vans from Tacloban City going to Borongan City (and vice versa). Another route from Tacloban City is through the Pan-Philippine-Japan Friendship Highway on a west-to-east-to-north course that traverses the southern coastal fringe of the island of Samar crossing the San Juanico Bridge from Tacloban City turning right at the junction southwards to Basey and then Marabut, Samar then eastward across the provincial boundary to Lawa-an in Eastern Samar passing by the famous municipality of Balangiga, turning left at the junction past Quinapondan town northward to the municipality of Gen. MacArthur and onwards to Borongan City itself. The main forms of public mass transport in and around the city are motorized tricycles, motorcycles, passenger jeepneys, multicabs and bicycles. There is no taxicab service available within the city. There are currently no commercial flights to the city. Landline telephone, cellular phone as well as internet (both landline and wireless) connections are available within the city limits and up to a certain limited distance from the city proper. Cable television is also available to city subscribers as well as to inhabitants up to a certain limited distance from the city proper. The city has a government-run FM radio station although it operates only on limited broadcast time at certain hours of the day. Main electric power supply to the city is through an interconnection with the Leyte electric power grid that comes from the electricity generated by the Tongonan geothermal power plant located in the adjacent island of Leyte. The distribution of the power supply within the city and the entire province of Eastern Samar is operated and managed by the local electric cooperative. Borongan City has many elementary schools, high schools, colleges and a lone university. It has the highest literacy rate among the municipalities in the whole province of Eastern Samar. Boy Abunda - television host, publicist, talent manager and celebrity endorser. He is dubbed as the "King of Talk" in local show business. He is originally from Brgy. Campesao. Aaron Ebio - portrait and fashion photographer. Hailed as one of the top 15 wedding photographers in the Philippines. Shoots for various media and modeling agencies. Ino Amoyo - professional hair stylist. Represented the Philippines and among the top finalists of the 2014 Worldwide Hair Tour competition in London. Jewel Ponferada - PBA professional basketball player. Currently playing for Rain or Shine Elasto Painters.